This is another attempt at the Tadpole Nebula, Sh2-236, in a bi-color HO narrowband image. 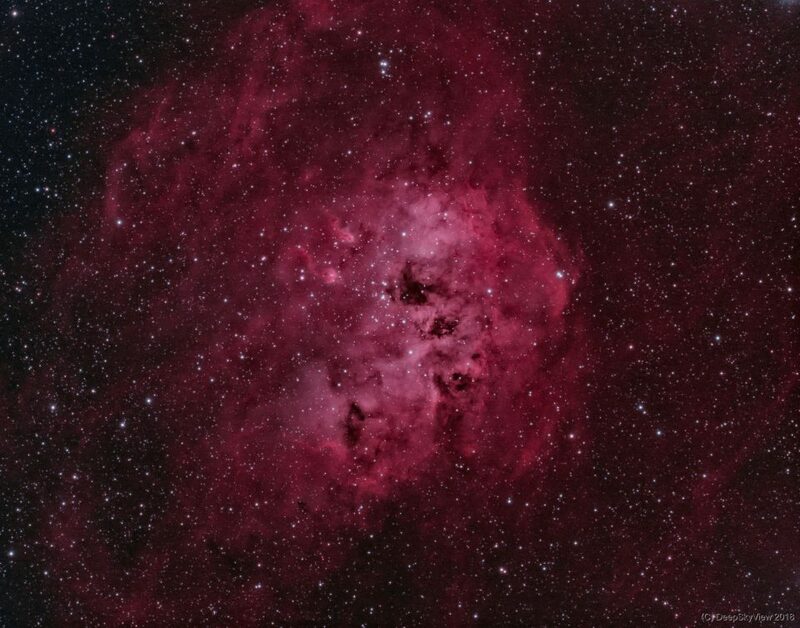 You can easily find the two tadpoles that give rise to the name of this nebula. It belongs to one big emission complex together with the Flaming Star Nebula. This image is a narrowband composite using a total of 6 hours of Ha and OIII data from two consecutive nights. All data was taken from my light-polluted backyard with the APM 107/700 Triplet and the QHY 163m. I think I settled on the combination with the Hotech SCA field flattener, which gives round stars all the way to the edges with a nice 1.1 “/px resolution, for high-resolution work. 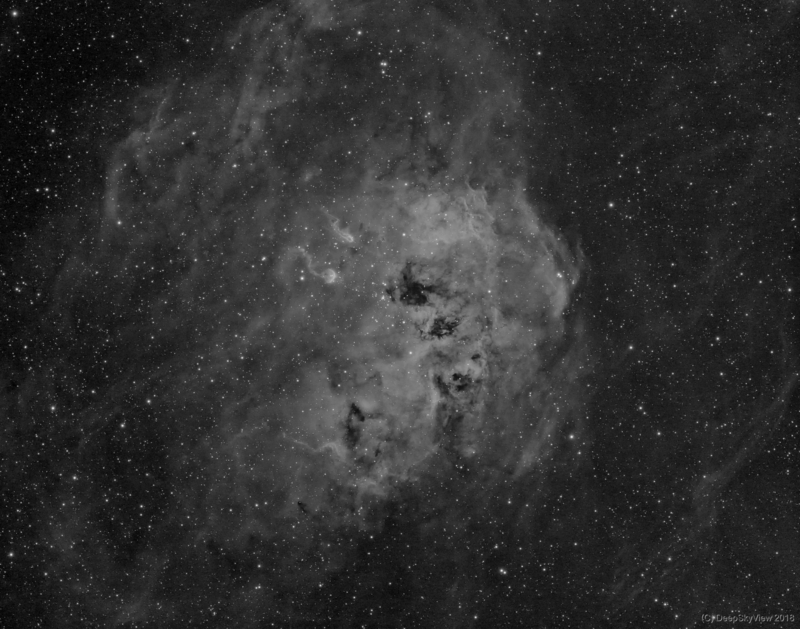 You can find an earlier attempt with the same scope but a larger pixel scale and longer exposures here.